Many people who venture out to create a website aren’t aware of the vast differences between the web world and the print world. The web world is very dynamic when it comes to the varying degrees of how a user can physically view the website. The print world is very exact and it can be controlled precisely so the user sees exactly what the publisher intended. The web has always had many varying factors to take into account before the design process even takes place. Now more than ever, people are viewing the same web pages on their cell phones and on their 22” monitors at their dwelling. That proves to be one of the challenges when designing a website. Another challenge is the screen resolution of the monitor. 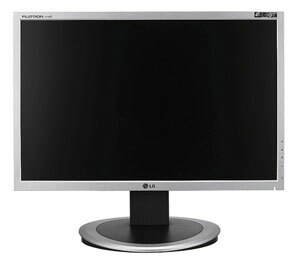 As computer monitors get larger, the screen resolution sizes increase. Depending on how the website is built, two different users with 2 different screen resolutions can have a very different experience. Objects and text can be spaced out and harder to read and follow. Colors can also appear differently depending on the user’s monitor. Some monitors display the colors correctly, but if the user adjusts the brightness or the contrast, colors can appear skewed from what they web designer originally intended. It is very important to first start with the initial goal of the website and then build the website around that particular goal. The print world is very exact. The user will always see exactly how the author wanted to portray the development piece. True, the user may have to view the billboard through distractions such as buildings, telephone poles, etc, but when they view the display, it will be very precise. From the colors, exact size, cut design, transparency, thickness, it will always be the same. There are many differences between the web and print world. The web is highly dynamic with the many screen sizes and resolutions that the viewer can use to gather information while print is very exact. Each has its own challenges and focus on the specific targeted demographic.